Please support the wonderful sponsors and donors that support us! Since 1993, AdvoCare® has been a world-class nutrition company specializing in health and wellness, weight management, vibrant energy and sports performance. Navigate through this site to learn more about our cutting-edge nutritional supplements and skincare as well as the opportunity to earn a full time income with a part time commitment by sharing AdvoCare products with others. Our products are formulated by an elite Scientific and Medical Advisory Board with over 200 years combined experience in pharmacology, toxicology, nutrition, sports performance and pediatrics. We have a multitude of product endorsers that includes professional athletes, champion amateur athletes, and acclaimed entertainers. 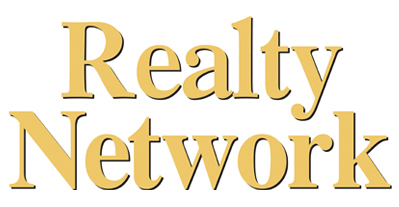 Realty Network Real Estate has recently been acknowledged as the #1 Real Estate Company in Northern New Jersey for Client Satisfaction and Service. Visit www.RealtyNetworkHomes.com for all your Real Estate Needs including Residential, Commercial, and Luxury Sales. Serving Bergen, Hudson, Essex, and Passaic Counties. Multilingual Company. Quality grooming from people who truly care about your pet. Come meet the staff that makes sure your pet get loving treatment and great pooch style. Stacey Gammon Pet Photography. Many of the photos on our site have been donated graciously by Stacey. Also check out her pet portraits, paintings and sketches, available on her other site, www.staceygammonfineart.com. Graphic Design Solutions for Publishers, Authors, & Small Businesses. A boutique design firm specializing in motion graphics for television, web and digital display. We would like to thank Photographer Megan Stillwell for her generous donation of photographs for use our site. A very special thanks to Ned Barber, NedBarber.com for his generous donation of video duplication service for our Duplication Fundraiser.